Whether you live in a studio apartment the size of a postage stamp or a four-bedroom house with room to spare, every home deserves to have its own feminist library. 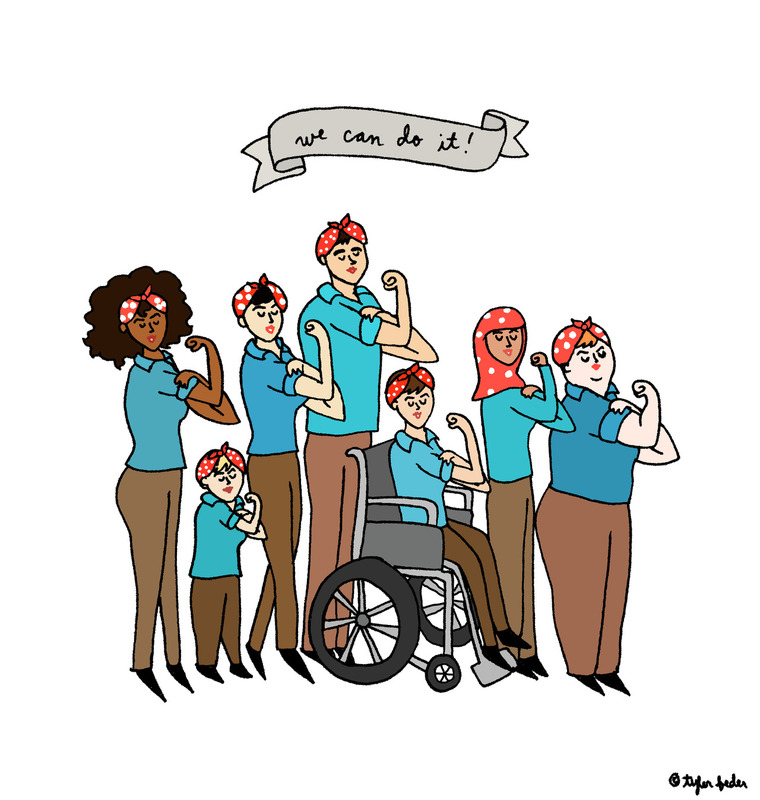 What better way to celebrate Women’s Equality Day than to curate a library of your own! So, dust off those bookshelves, pull up that wish list, and blast Lesley Gore until the neighbors complain. Because today’s all about surrounding yourself with the books and smashing the patriarchy. Start your feminist library with some of your favorite authors. Love Rebecca Traister’s New York Magazine article on Hillary Clinton? Make sure you have a copy of All the Single Ladies on hand. Can’t get enough of Sady Doyle’s Twitter feed? Pick up a copy of Trainwreck: The Women We Love to Hate, Mock, and Fear…And Why. Love the mothers of the feminist revolution? Make sure you have pile of bell hooks and Gloria Steinem books on your nightstand. When building your feminist library, make sure that you’re starting with an inclusive and intersectional foundation. Your library should be at least as diverse as the United States, so aim for majority authors of color and LGBTQAI+ authors. If you’re a straight cis white reader and don’t know where to start, listen to your queer and non-white friends as they recommend their favorite books. Here are a few titles to get you started: Redefining Realness by Janet Mock, One Day We’ll All be Dead and None of This Will Matter by Scaachi Koul, Bad Feminist by Roxane Gay, and We Are Never Meeting in Real Life by Samantha Irby. A feminist library shouldn’t ever feel like homework. If you’re bogged down by non-fiction with a historical lens, sprinkle in some humorous essays. If you find yourself in a non-fiction reading streak and want to break it up with feminist novels and poetry, go with your gut! Your feminist library should be both educational and enjoyable – and that balance is essential. Looking to mess around with genre? Add Motherland Fatherland Homelandsexuals by Patricia Lockwood, Americanah by Chimamanda Ngozi Adichie, and The Bell Jar by Sylvia Plath to your growing feminist library. Give your feminist library a good home. Do you want to see it first thing in the morning and last thing at night? Nestle it into a corner by your bed. Do you want these books to be a conversation piece? Place them prominently in your living room so they can be part of the conversation when you have company over. Does a good book pair best with your morning coffee? Mount a small shelf in your kitchen and display your feminist library there. The possibilities are endless! Here at Quirk Books, we’re proud to publish delightfully quirky feminist titles, including Princesses Behaving Badly: Real Stories from History Without the Fairy-Tale Endings by Linda Rodriquez McRobbie, Wonder Women: 25 Innovators, Inventors, and Trailblazers Who Changed History by Sam Maggs, Crafting with Feminism: 25 Girl-Powered Projects to Smash the Patriarchy by Bonnie Burton, and The Spectacular Sisterhood of Superwomen by Hope Nicholson. Whether your library is missing scholarship on princesses, a deep dive into the forgotten geniuses of history, a little something for the craft corner, or a history of women in comics – we’ve got you covered.